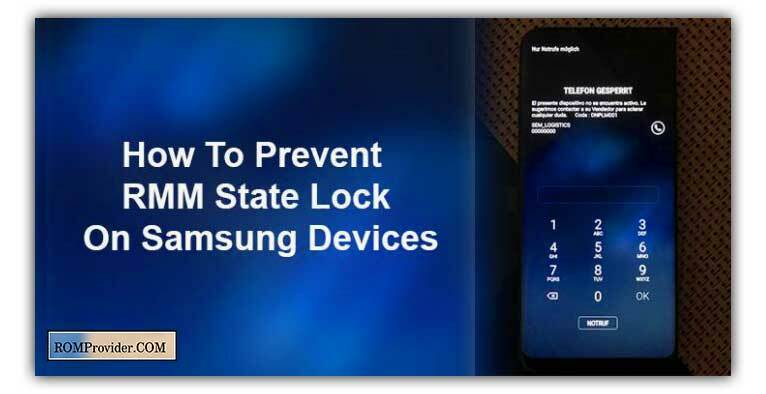 RMM State Lock on Samsung Devices is a Security Feature Which is Similar Like FRP. means When you Reset Your Phone you can See RMM State Lock on Samsung Devices. So in the article we Share a Step by Step guide to Fix This issue when you loss Your Google account Password. it’s a Security feature Means When Someone reset a Samsung phone then during the First boot it Require a internet Connection to access the Device using the Pre Setup Google account otherwise You would not be able to use the Device. in Simple it will lock your Device on First boot after resting the Device. 3. then Reboot Phone to twrp Recovery using the Power and Volume Button. Is it works on any s8 model? hello. i cant install twrp cuz im in rmm prenormal state. how to fix it? if Not try to boot your Phone in download mod and connect to PC if Driver Work then you can Flash twrp Without using developer options via odin.